Orillia Kia | The Kia Stinger: Turning heads and opinions into “I Want That”! Introducing the 2018 Kia Stinger, a sports car for your elevated, everyday driving experience. 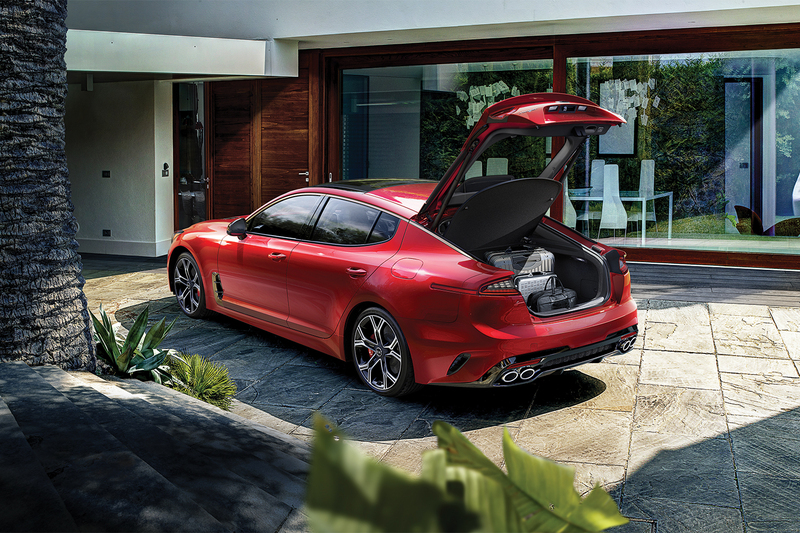 Standard on all Kia Stinger GT models is an intelligent All-Wheel Drive system that uses Torque Vectoring Control to adjust power output to specific wheels — optimizing cornering speed, handling, stability and most importantly, overall performance. Inside of the fastest Kia ever built, there is a 3.3 litre twin-turbocharged V6 engine producing 365-horsepower, 376 lb.-ft. of torque and a satisfying roar. All Stinger will include Brembo® performance brakes with signature red calipers. The Stinger isn't just all performance though. 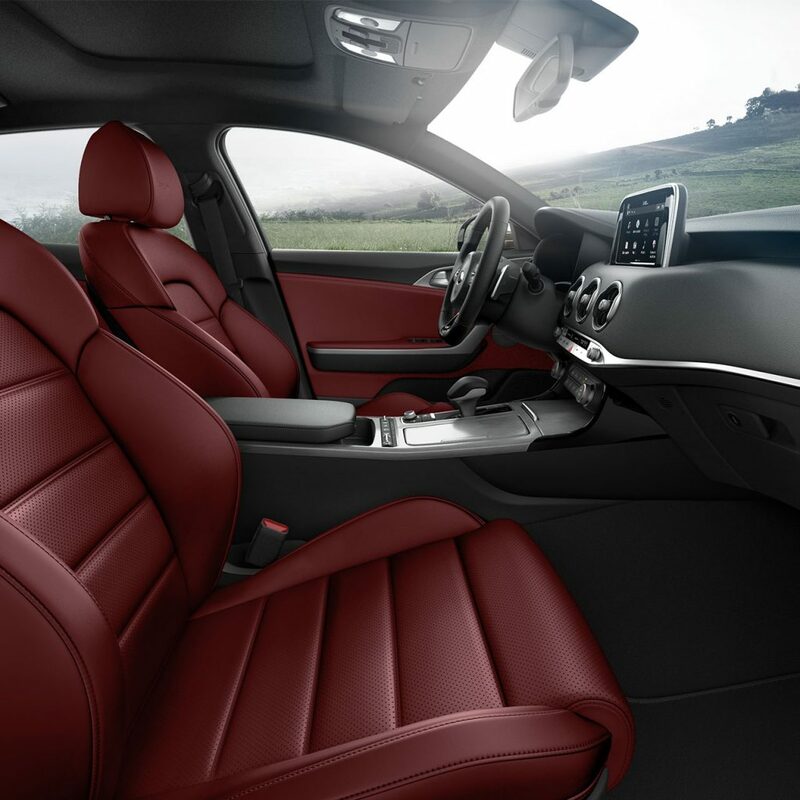 Safety features as well as features to make your ride comfortable for everyday driving or more than present. The Kia Stinger’s driver-centric cockpit and available Heads-Up Display (HUD) system keep you immersed in your driving experience at all times. Advanced Smart Cruise Control, Driver Attention Alert, 360° Camera Monitoring, and Autonomous Emergency Braking are just some of the safety features the Stinger is equipped with. Apple CarPlay & Android Auto kepp you integrated with Stinger at all times well a Harman Kardon® Premium Audio system makes sure you an excellent speaker system to enjoy music or whatever you may be listening to during your ride. Test drive the fastest Kia ever made, the Kia Stinger.